Which Vendors were mentioned with Ubuntu Linux last week? Jaunty Jackalope: Are Alarm Bells Ringing in Redmond? Welcome to the Ubuntu Weekly Newsletter, Issue #140 for the week April 26th - May 2nd, 2009. In this issue we cover: Karmic Open for Development, Notify OSD to be discussed at Ubuntu UDS Karmic, Ubuntu Open Week Summary, New Ubuntu Member, Ubuntu Hug Day: May 7th, LoCo News: Jaunty Release Parties, Launchpad 2.2.4, Launchpad's web service code released as stand alone libraries, New prefixes in the help sub-forums, Hiding post (bean) counts, Announcing the Ubuntu High Availability Team, Ubuntu Brains, Ubuntu 9.04 does not use ext4 by default, Ubuntu-UK podcast: Partners in Crime, Canonical engaging Ubuntu Software Partners, Team Meeting Summaries for April 2009, and much, much more! a test suite for the rendering layer. Ubuntu Open Week finished up last Friday, and as usual, it was a great 5 days of sessions geared toward helping the community get involved. Open Week kicks off the start of each new Ubuntu release in development. With Jaunty Jackalope released, and the announcement of Karmic Koala in development, it was the perfect time to get the community together. Ubuntu Open Week gives the community an introduction to many of the Ubuntu Teams that help make Ubuntu and the Ubuntu Community what they are. One of the most looked forward to, and highly attended sessions was of course, the Q&A session with the leader of Ubuntu, Mark Shuttleworth(sabdfl), but the list of prominent Ubuntu community members hosting sessions was, as always, impressive. You can find the logs of all the Ubuntu Open Week Sessions here: https://wiki.ubuntu.com/UbuntuOpenWeek just scroll down the page to "The Timetable" header and click on any session title to read the logs. The Asia Oceanic Membership Board is happy to welcome this new Ubuntu Member! The Ubuntu Kentucky LoCo will be holding a Jaunty Release party on May 9th from 4PM-7PM(EST)in conjunction with the Blue Grass Linux User Group. The event will be held at Tates Creek Christian Church in Lexington, Kentucky, and is open to the public. A copy of their flyer and a map of the location can be found at their link. A facebook event is available to help them plan on the number of people attending. The Filipino Linux and Ubuntu enthusiasts gathered together for three hours and discussed different topics about Ubuntu and Linux! Manchester, United Kingdom, held their first ever event and were pleased with the turnout. They had 60+ people invade the bar at the BBC building on Oxford Road, and really enjoyed themselves. Advertising for the event was assisted by BBC Backstage Blog, and a full write up of the event was posted to the WorksWithU site. More than 60 people had the opportunity to attend and be introduced to the Ubuntu community. Launchpad 2.2.4 introduces several new features such as the ability to import translations from bazaar branches and more AJAX in the web interface. In the last release, the ability to import translation templates from Bazaar branches was added. Now, you can now import the actual translations. The most common scenario that this feature will likely be used for is the initial import of translations when you start using Launchpad Translations for a project that already has translations. To make this easy to accomplish, a "Request Bazaar import” option has been added in the menu bar of your project's release series right next to "Settings". You need to have an official branch linked to this release series in order to see this button. You can go to the "Settings" page and choose "Import templates and translation files" to have Launchpad continuously import both translation templates and actual translations from your branch. The approval of translation files after they are uploaded works just as if they were uploaded through the upload form. Here are some of the ways Launchpad has grown since releasing the beta of Launchpad 1.0 two years ago. Launchpad has also introduced Personal Package Archives, a web services API, mailing list hosting, code review, plugins for two-way communication between Launchpad and external trackers, and many other features. After several weeks of work and sprint in Montreal, you can now create your own web service using the same techniques used in Launchpad. The library is lazr.restful, and there's a companion client library called lazr.restfulclient. They're also on PyPl(restful, restfulclient). The place to discuss these libraries is on the lazr-users-mailing list. The goal is to remove almost all code from launchpadlib, leaving only the OAuth handling and some launchpad-specific information. They are also working on making it easier to use lazr.restful with standard WSGI applications, so you do not have to know as much Zope. 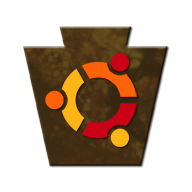 Two new prefixes were added this week, wubi and unr (Ubuntu Network Remix). They are available to threads in the support area. Following our previous rationale not to increase the number of categories, it is now preferred to use either prefixes (adding new ones is only available to admins) or tags (any member can add a tag to any thread). Hiding post counts is available again from userCP. Number of posts in the support area can still be seen when visiting the user profile. Beans only add up when posting in help areas, not in the general community chat areas. When users reach 3,500 beans, they can customize their title. In the latest Server Team meeting, RoAkSoAx presented the idea that HA Cluster packages should be important for the Server Team and that the team should also concentrate on this packets and be a bug contact for them. Why, because companies nowadays work with clusters or want to start using them, which makes Ubuntu a possible choose. He had had this idea for a long time, but never presented it to the Server Team. In the meeting it was decided to create the Ubuntu High Availability Team. This team will work with packages related to HA Clustering in Ubuntu, as a bug contact for them. A mailing list has been created. So, if you like HA clustering, and you want to collaborate triaging bugs related to this packages, everyone is welcome to join! This project is to create an interactive learning environment based on Moodle to support new users becoming more engaged in the Ubuntu community. The goal is to take new motivated users and turn them into contributing members of the community. The intend is to do this by working with existing teams such as the classroom team, as well as trying to leverage the work and ongoing training already being done by the MOTU Team, Bug Squad, Doc Team, Desktop Training, and LoCo's to develop an integrated training solution, In turn, that will allow the community to undertake self paced and instructor lead training in conjunction with IRC based training and question times. This is similar to what most teams already are doing individually but gives more flexibility in providing quality training materials that will assist in learning without requiring as much IRC time. There seems to be a significant misconception around Ubuntu 9.04, that it uses the (comparatively new) ext4 filesystem by default. It doesn’t. Ubuntu 9.04 still uses the tried-and-true ext3 filesystem by default. If you install Ubuntu 9.04 and use automatic partitioning, you will get ext3, which we consider to be the most stable option at this time. ext4 is available as an option in the manual partitioning screen for people who wish to try out the latest stuff. There are some known bugs which affect this configuration, though, and filesystem bugs generally carry the risk of lost data, so this is not for the faint of heart. Ciemon Dunville, Alan Pope, Tony Whitmore, Dave Walker and Producer Laura Cowen are back with a brand new episode of the Ubuntu Podcast from the UK Local Community Support Team. We completely mess up the introductions. So good luck figuring out who did what since the last episode! April 27th - May 1st - Ubuntu Open Week in the #ubuntu-classroom channel on the Freenode IRC network. Yann Hamon asked for the 3 month review of Oxford Archaeology's blog on Planet Ubuntu. Everybody was happy with it. Brian Murray joined the MOTU team. He has been doing great work in the BugSquad and we're happy to have a new MOTU on board. Attendees (3/7): Richard Johnson, Emmet Hikory, Michael Bienia. Meeting, 2009-04-10: no quorum, no attendees. Attendees (6/7): Daniel Holbach, Emmet Hikory, Jonathan Davies, Michael Bienia, Richard Johnson, Soren Hansen. Open Applications: Pedro Fragoso (MOTU; scheduled for 2009-04-10), Elliot Murphy (U-C-D; scheduled for 2009-04-23), Benjamin Drung (U-C-D; scheduled for 2009-04-23), Brandon Holtsclaw (re-activation; scheduled for 2009-04-10),LI Daobing (U-C-D; scheduled for 2009-05-08). Pedro Fragoso joined the MOTU team. He has been working with the Ubuntu Desktop Team, and he has performed Gnome updates, bugfixes, merges and even LPI changes. Benjamin Drung joined the ranks of the Ubuntu Contributing Developers. He has looked after xmms2 and its clients, and is an active member of the Berlin LoCo. Brandon Holtsclaw rejoined the MOTU team. He plans to resume working on the mono (apache and cli) packages as well as universe SRU and SWAT stuff. Attendees (4/7): Michael Bienia, Jonathan Davies, Emmet Hikory, Daniel Holbach. Open Applications: Li Daobing (u-c-d), James Westby (core-dev), Jo Shields (motu). Continued discussion about changing to more suitable meeting times. Community Council voted to increase size of Forums Council to seven. Matthew Helmke, John Dong, Kiwinz, and Mike Basinger were re-elected to a second two year term to the forums council. The bans for linuxisevolution and LaRoza were not lifted. The ability for hide post count, at least from the main page has been added. Post count can still be seen on the forums user profile page. The Forum Council saw no problem is the issue reported by suomalainen on people replying to his posts. The Jaunty Jackalope Development forums was closed and the Karmic Koala Forum Development was open on 24-April-2009. OpenWeek Docs Day was a great success with five hours of documentation tutorials covering everything we do. We'd like to pass on thanks to everyone who attended and made it possible and I'd especially like to thank Jorge. Ubuntu Documentation Students (Contributors) team became an open team. Several new contributers welcomed to the team, especially following OpenWeek. A series of lessons on IRC covering contributing to the team were announced - dates to be confirmed. A series of Doc Days - day long pushes across the community in nominated areas announced. 2009-04-23: Bug Jam where we discussed how we'd like future Bug Jams to work. Also Benjamin Drung became Contributing Developer during the Jam! 2009-04-23: Dynamic Release Party in K34 art gallery http://kilux.wordpress.com/2009/04/24/bericht-ubuntu-release-party-und-jaunty-installationen/ About 30 attendees. Ubuntu Catalan Team celebrates the new release on Ubuntu (9.04 Jaunty Jackalope) at IES Nicolau Copèrnic. Also, a big thank you to Daniel Holbach for adding a link from the Knowledge Base wiki (https://wiki.ubuntu.com/UbuntuDevelopment/KnowledgeBase?action=diff&rev1=20&rev2=21) to our Glossary reference page.